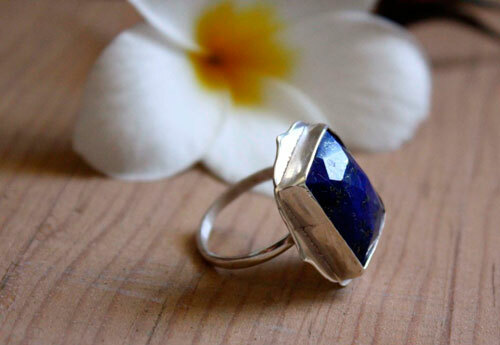 This sterling silver ring is a custom order made for the same in love of ancient Egypt and the intense blue of lapis lazuli as the Queen of the Nile collar. To satisfy her request, I have set lapis lazuli deep and mysterious blue. Oriental arches accolade shaped inspire the decoration. 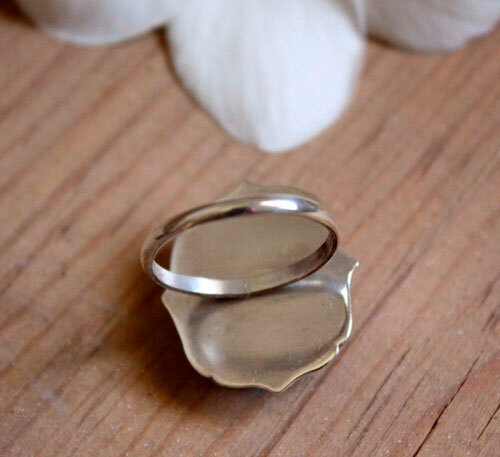 This ring is really feminine with all its round details. In keeping with the spirit of the previous embodiment for this client, I named this ring Cleopatra. 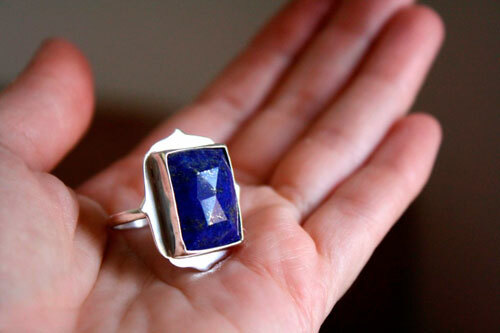 The Egyptians for jewelry making often used lapis lazuli. The blue of this semi-precious stone that reminded the blue of the sky also fascinated them. This was also the case of Cleopatra, great Queen of Egypt entered into legend. 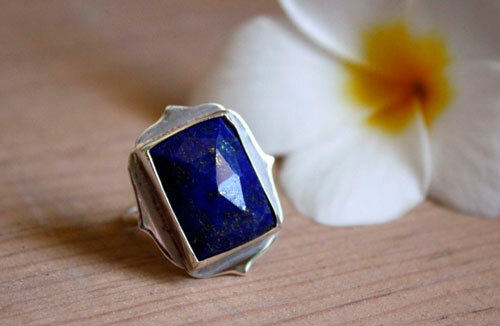 Collector of jewelry and especially lapis lazuli, she would have been totally wear this kind of ring. Size: 8 1/2 (US). It cannot be resized. Tag: ring, oval, sterling silver, single, oriental, romantic, lapis lazuli, blue, gift, valentine’s day, mother’s day, birthday, cabochon, semiprecious stone, Cleopatra, Egypt, egyptian, queen, pharaoh, jewelry.